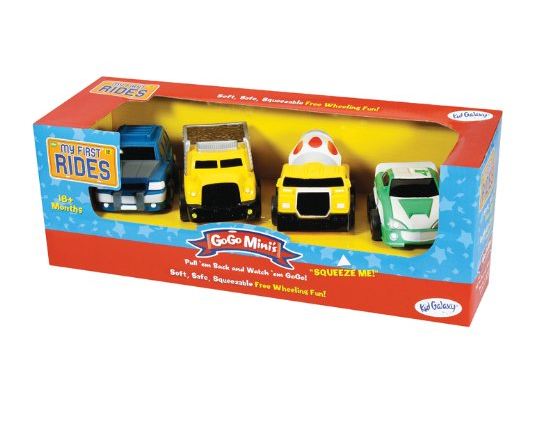 Kid Galaxy My 1st Rides Mini Go Go 4-Pack Construction Trucks $7.03 + FREE Prime Shipping (Reg. $15)! You are here: Home / Great Deals / Amazon Deals / Kid Galaxy My 1st Rides Mini Go Go 4-Pack Construction Trucks $7.03 + FREE Prime Shipping (Reg. $15)! Hurry and snag this adorable Kid Galaxy My 1st Rides Mini Go Go 4-Pack Construction Trucks for just $7.03 (Reg. $15)! Plus, FREE Shipping is available with Amazon Prime or FREE with orders of $35 or more (sign up for a FREE 1 month trial here)! They have shipping options to get it before Christmas so check it out!